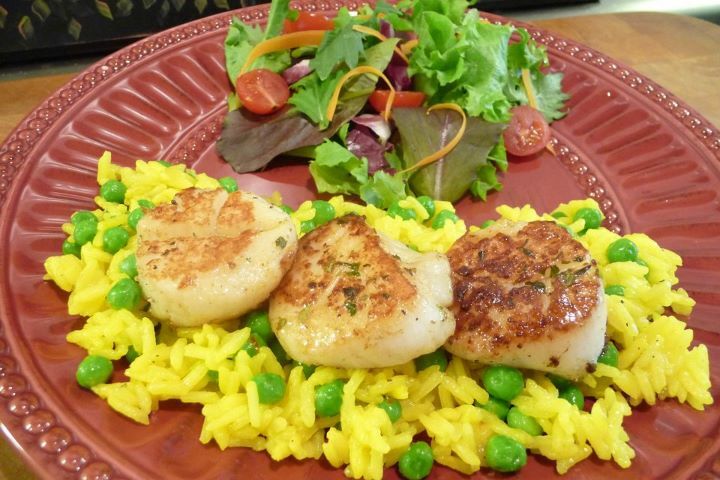 I really enjoy quick and tasty recipes like this sautéed scallops recipe. It’s easy-to-make and uses a homemade version of Emeril’s Essence to give it a flavorful BAM! It’s especially delicious with a side of saffron rice and peas. Pat scallops dry with a clean dish towel (or paper towel). Lightly season both sides of the scallops with the homemade seasoning blend and a dash of sea salt. In a large skillet over medium heat, add butter. Using tongs, place scallops onto hot skillet and cook until browned on one side (about 2-3 minutes). Then, using tongs, turn over the scallops and continue to cook until opaque and cooked through (about 1-2 minutes). These were AWESOME! Loved it! Thanks for the great spice blend. We used it on scalloped potatoes too.